“The Sir Zelman Cowen Centre at Victoria University is convening the Online Dispute Resolution (ODR): The State of the Art Symposium on 21-22 November 2018 in Melbourne. create a network of practitioners and policy makers with a specialist interest in developing ODR in Australia. The conference is also hosting an ODR playground where the latest technology and platform will be available for demo and experimentation. Speakers and bios are available here. The annual International ODR Forum Innovation and Impact: Online Courts and the Changing Landscapes of Digital Justice is being hosted by the New Zealand Centre for ICT Law, in the School of Law at Auckland University, November 14-15, 2018. The two key themes, Innovation and Impact, are well-presented in an exciting line up. See the conference program and come join the gathering in New Zealand! “An internet-based court that runs 24/7 was set up in Beijing on Sunday where internet-related cases in the city will be tried online in the future. The Beijing Internet Court has been given the jurisdiction to handle internet-related cases that should be tried by a primary-level people’s court in Beijing regarding disputes with online shopping, service contracts, lending and copyrights, the Xinhua News Agency reported on Sunday. People can “file a case online instead of going to the court with paper-based material,” Li Jingwei, deputy president of the court told the China Central Television (CCTV) on Sunday. Citizens can log onto the litigation service platform to file cases or submit related material “at any time, without worrying about time,” said She Guiqing, another deputy president of the Beijing Internet Court. 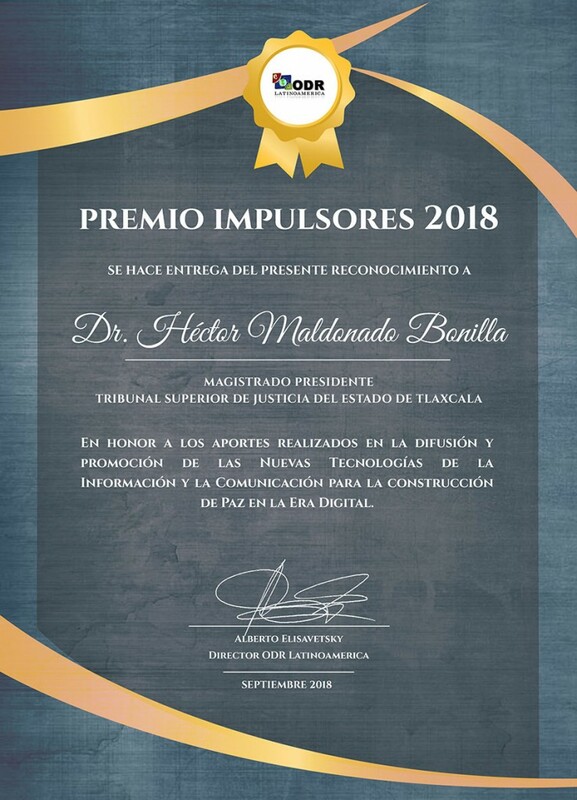 Has been recognized by ODR Latinoamerica with the IMPULSORES AWARD 2018. 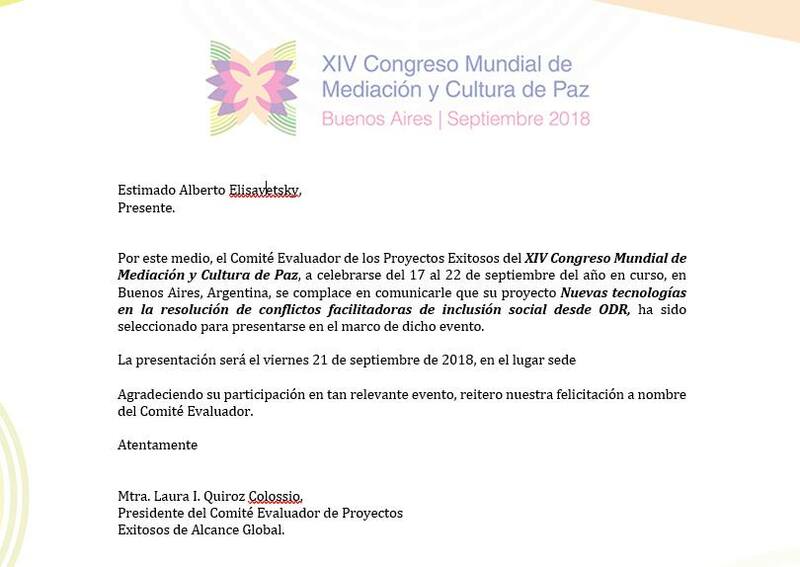 ODR Latinoamerica will have a special presentation in the XIV World Congress of Mediation an Peace, since it was selected Succesfull Proyect of Global Reach by the Evaluation Committee of Successful Projects. We are happy for the announcement and want to thank the opportunity! 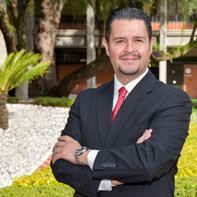 Alberto Elisavetsky, Director of ODR Latinoamerica, has been invited to work in the ODR pilot project of Tlaxcala’s Judicial Power, Mexico. Tres de Febrero National University, Argentina. 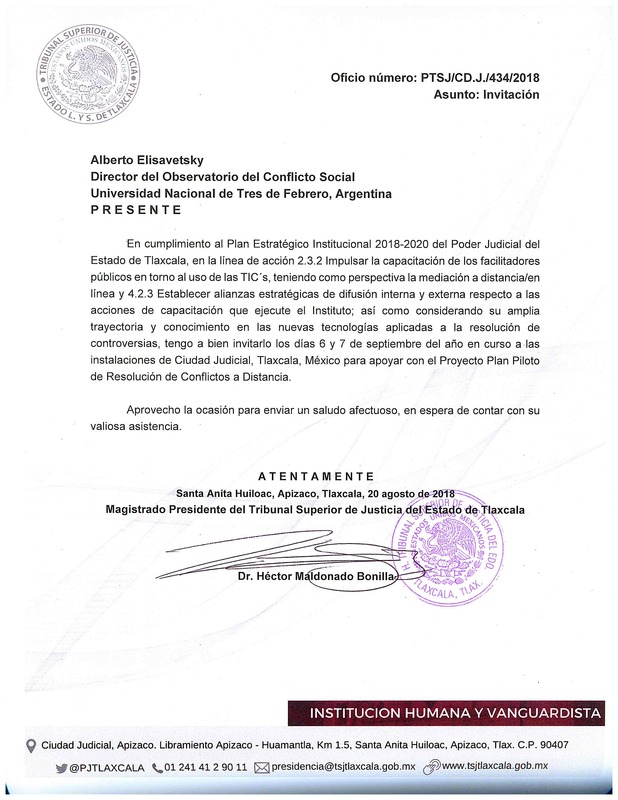 In compliance to the Strategic Institutional Plan 2018-2020 of the Judicial Power of the State of Tlaxcala, in line of action 2.3.2 Motivate the training of the public facilitator around the use of TIC’s, with a perspective on distance mediation/on-line and 4.2.3 Establish strategic alliances for spreading internally and externally the actions of training that the Institute executes; as well as considering your wide trajectory and knowledge in new technologies applied to dispute resolution, you are invited on September 6 & 7 of this year to the facilities of Judicial City, Tlaxcala, Mexico to support the Project of Distance Conflict Resolution Pilot Plan. Kind regards, hoping to count with your valuable presence. President Magistrate of the Superior Tribunal of Justice of the State of Tlaxcala.